96% of properties available to rent in Galway City are priced beyond the reach of people depending on state rent supports for their housing, a snapshot study by the Simon Communities in Ireland has found. There was just one property available to rent in Galway City for a couple or parent with one child within Rent Supplement/Housing Assistance Payments (HAP ) limits over the three day study period. These shocking findings come in the final weeks of the current Government. Galway Simon Community said that the Government still has an opportunity to take action on this urgent issue. Conducted over three consecutive days in November, ‘Locked Out of the Market III: The Gap between Rent Supplement/HAP limits and Market Rents’ highlights the ever increasing gap between rising rents and Rent Supplement/HAP limits, which have remained unchanged since June 2013. The study looked for properties under the four categories of household types (single person, couple, couple or parent with one child, couple or parent with two children ) in 11 locations, including Galway City. The average rent per month for a one-bedroom property in Galway City over the study period was €690 compared to €635 in August; an increase of 8.6%. 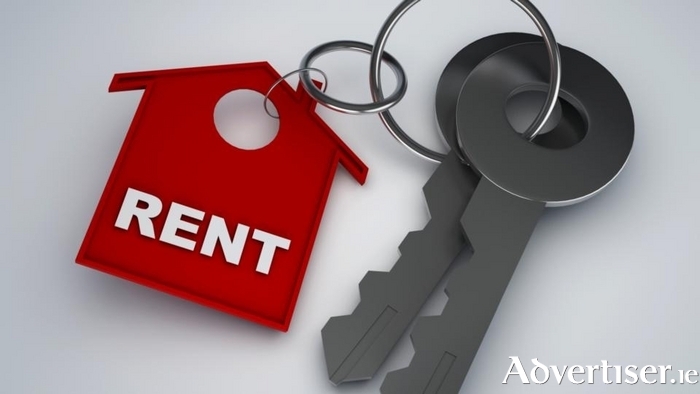 A decrease was seen in the average rent for a two-bedroom unit which was €1015; down 15.4% from €1200 in August, however, this is still outside of the Rent Supplement/HAP limits. There were no properties available to rent within the Rent Supplement/HAP limits for a single person, a couple, or a couple or parent with two children. This was also the case in the same study undertaken in August 2015. Bill Griffin, CEO of Galway Simon Community, said the figures show that the housing and homeless crisis rages on and must be urgently addressed now. "It cannot wait. All household types were affected in this study with only one property available within the Rent Supplement/HAP limits. We continue to ask why this is the case when Rent Supplement is meant to provide a safety net for people and families at a time of need to support them into or to remain in housing? "Clearly, it is not fulfilling this vital role.”“This is the third time the Simon Communities have undertaken the Locked Out study and each time we can see the crisis escalating further. Now a staggering 96% of properties in Galway City are out of reach for people receiving state housing support”, he said. “Rent Supplement/HAP limits are simply too low as rents continue to escalate and this is pushing people into homelessness as well as preventing people from leaving homelessness. This is about political will. We are reminding all politicians that only they have the power to make the changes needed, and those changes are needed now. Access to affordable housing with support is the solution for people who are homeless," he concluded.